Photo of #5419. This is one of the small reefer type cars. Note the working knuckle couplers, air brakes, and hand brake. 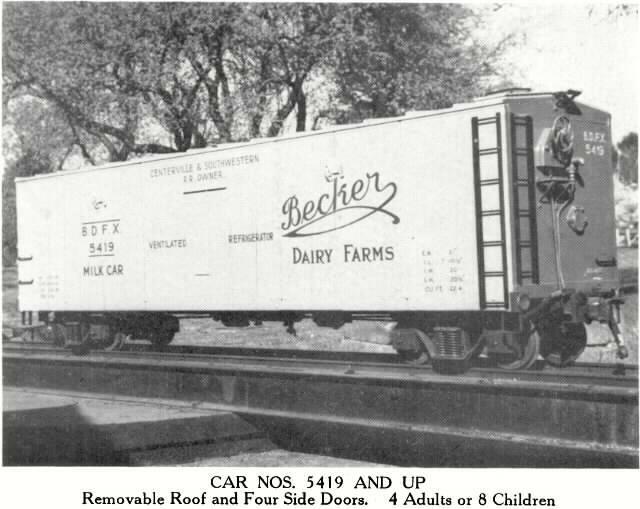 The 5419 is the only car painted in the Becker Dairy Farms colors. These cars weigh 665 lbs.